Jake Spoonbill, once a NASA pilot, later King and savior of a planet called Camelot, has once again been called back to life through a rather bizarre set of circumstances. Joining him is his army of sword-wielding wives, including his first love, Aawasa, and the woman called the Bronze Goddess. He must once more battle against evil forces in the universe. This time he must first take over control of the corrupt government of the famed EMM (Earth, Moon, and Mars coalition) to provide the support needed for a war against the headhunting Blood Sabers who have but one mission, exterminate all humans when and where found to cleanse the universe of the plague called man, for their goddess. With his army Jake comes head to head with the murderous Sabers on their home worlds. 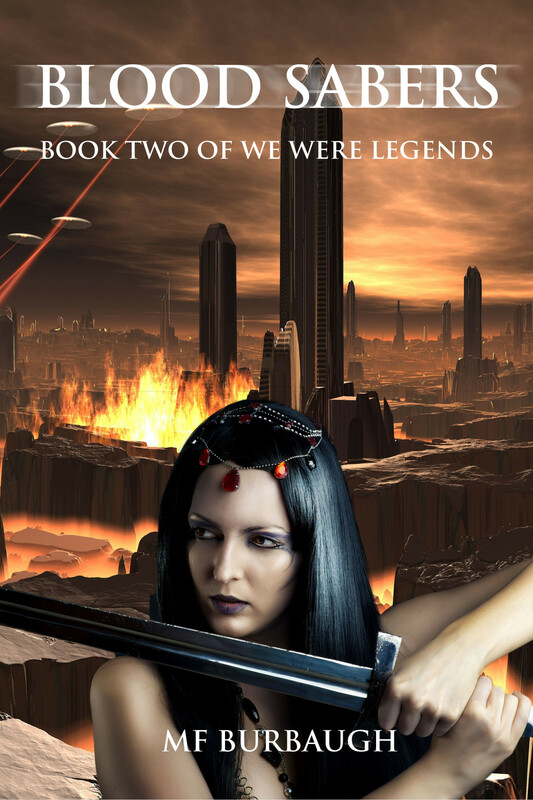 Key Words: Science Fiction, Space Opera, Fantasy, We Were Legends series.